Last year, we spent time putting this information into a format for users to understand. However, like anything in this world, you can have the right data, but if you don’t display it in the usable way, it can become nearly useless. 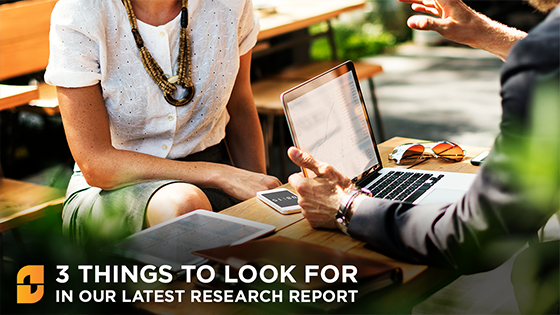 This year we took it up a few notches to create a truly enjoyable report with supporting graphics, an easy to follow table of contents, and relevant content that you’ll relate to on a number of fronts. The very first time you do something, no matter how hard you try, you’re probably to mess it up in some way. With Biz.ONE, while we made huge strides in improving the program, we knew that this year we would have to go even further in 2018 – that we would have to go deeper and learn along side SAP Business One users to understand and feel both their pains and their opportunities. Security: Both internally and externally is becoming increasingly more important to organizations running SAP Business One. From user access to real external threats causing down time, this is a topic that users are looking for more education on. Inventory Management: A previously underrated topic is massively important containing MRP, WMS, and Production is now a central focus for Biz.ONE 2018. Look for new tracks, case studies, and partners to make this topic come alive. Synergy and Overlap: That’s not just a leading buzz word we found on Google. This year, we are finding that, like a good Pad Thai, many ingredients are necessary to make something work right. With that in mind, we are making sure that the research and conference environment has the sort SAP Business One overlap that is useful, but not overwhelming for users. It sounds better when it’s backed by data, right? Well, in this scenario, it’s more than fluff, it’s data supported information. We asked people which SAP Business One topics were important and in typical fashion some raised their hands for this or for that. But, when we surveyed them, we asked a series of questions that gave us a better idea of how people actually felt about certain topics. We asked them about their needs with core functionality and then matrix-ed the results to their answers on individual areas within SAP Business One. By doing so, we were able to come up with a set of topics that were more likely to be important to users. Find out more about our stated vs. derived research over here.